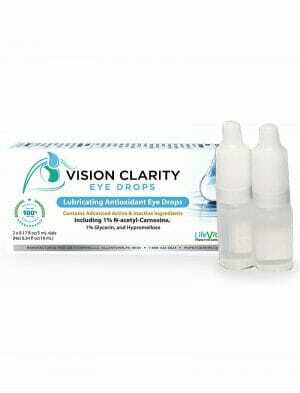 Vision Clarity is the most trusted brand of lubricating, carnosine eye drops when compared to Can C, Visual Ocuity, Brite Eyes, and many others. The Vision Clarity brand is simply and plainly a cut above the rest. Our drops have been developed using only the highest quality, pharmaceutical grade raw materials from the purest parts of the world. 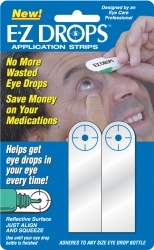 We feel confident that these eye drops are the safest, most sensible formula available on the market today. As a member of the Life Vitality brand, our drops are created under the ideals of Integrity, Purity, and Quality. As such, they are crafted and packaged under the strictest possible clean-room conditions. Our manufacturer’s maintain the standards set by current Good Manufacturing Practices (cGMP) for essential aspects of the manufacturing process such as cleanliness, record retention, and waste disposal. All our formulations are developed based on the leading scientific and nutritional research for optimal health benefits and safety. As shown with a Certificate of Analysis, Vision Clarity offers the highest grade eye drops for the lowest cost. These eye drops are even suitable for dogs and pets. 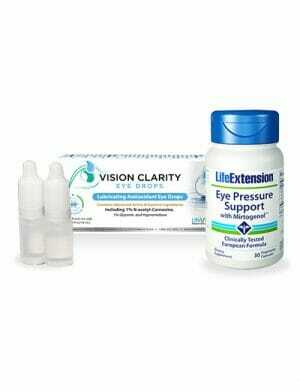 Shop our Vision Clarity eye drops below now! 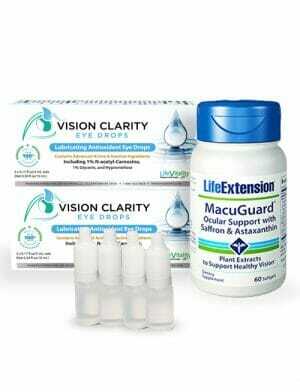 Ultimate Eye Discount Bundle with Vision Clarity Eye Drops, MacuGuard Ocular Support & More, All 5% Off! 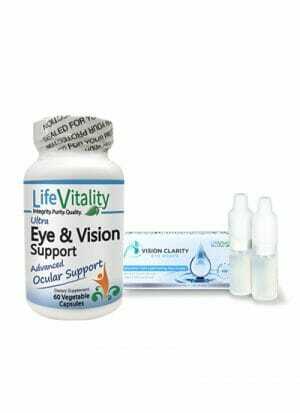 Life Vitality SuperKit Ultimate Eye Health Combo, Vision Clarity Eye Drops, Ultra Eye & Vision Support, and More – 5% Off!